Indestructible bands are made from EPDM that offers excellent resistance to the conditions that cause common rubber bands to degrade: acidic environment, UV and fluorescent light and changes in temperature. These attributes make EPDM the perfect banding/bundling material for any application in your Drosophila Lab. The tight stretch and heavy wall is designed for industrial use that will not deteriorate over time. Operating Range -51°C to 149°C. Aging – Last for years! These sterile petri dishes are precision molded from pure virgin polystyrene for general lab use or automatic filling equipment. Ultra flat surfaces assure efficient, cost effective usage of media. Dishes are conveniently packed in easy to open sleeves of 20. Each lot is sterilized in accordance with U.S.P., AAMU, and ISO 9002 guidelines. 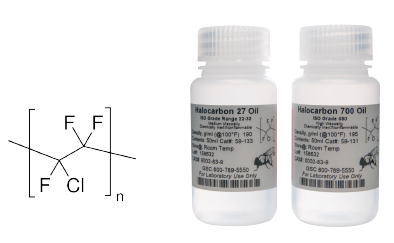 Halocarbon oil allows free diffusion of oxygen, has low viscosity, and thus prevents dehydration and hypoxia. With a refractive index similar to glycerol, halocarbon oil also has good optical properties for imaging. It also provides a good environment for injection and is particularly useful for long-term imaging of embryos. This Drosophila collar is precision machined of 100% high-grade stainless steel to assure durability and ease of use. The gap width comes pre-set and is adjustable with a small allen wrench. Based on the original designs of Dr. Heisenberg. These mesh products are widely used for a variety of Drosophila applications. All of our mesh is conveniently sold by the linear foot from 40-48″ rolls, so you can order just what you need. Each unit of measure comes as a contiguous 40-48″ x 1′ sheet. For example, an order of 3 units from a 40″ Roll, will be shipped as a 40″ x 3′ sheet. Custom sizes can also be cut, please call or email us for pricing. Genesee Scientific has access to over one thousand different pore sizes, so if the one you need is not listed please contact us and tell us the application. We will gladly make it available to you and to the rest of the Drosophila research community. The Pale Crepe Gold™ line of rubber bands have an extremely high rubber content, ensuring maximum count per pound. Because of high rubber content, these bands have excellent tensile strength and stretch. Exceeds federal specifications A-A-131. Count per pound is a guaranteed minimum. Actual average may be 10% higher. Made in the U.S.A.
Genesee Scientific is an authorized distributor of all Alliance® Rubber Company products, with access to around one hundred different rubber bands. 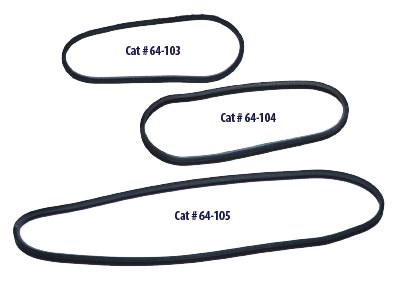 If your Drosophila research requires a different size or rubber content, please contact us so we can make it available to you and the rest of the Drosophila research community.